1) Take our 500 hour Therapeutic Massage Certification class. 2) Take our 250 hour Therapeutic Massage Foundation class + 250 hours of individual classes. 3) Take individual classes as your schedule allows to accrue 500 hours. See “*” below for classes that are required for certification. Next 250 hour class offered September 16th through December 19th. To register or for more information, call 831-476-2115. Cost and times for individual classes vary. See our classes and calendar tabs for more information. Next 500 hour class offered September 21st through December 18th. Cypress Health Institute is committed to providing the highest quality education in a safe, loving, and professional environment for our students. We focus on professional integrity, personal growth and therapeutic effectiveness. Cypress Health Institute excels in teaching massage therapy and healing. Students get direct and personal support in learning, practicing and feeling the healing capacity of massage therapy and human touch. We offer a wide variety of healing modalities, from Rieki to Pathology, with a convenient schedule. At Cypress Health Institute Massage School, small classes, hands-on instruction and direct healing experiences give you the best education. Respectfully explore, develop and appreciate what you can do now. If you aspire to work as a healing Massage Therapist, Cypress Health Institute can help you achieve your goals, and can bring a wealth of experiences and self realization along the way. Call (831) 476 2115 or Email Larry@cypresshealthinstitute.com to begin working towards the career your heart is longing for! Cypress Health Institute is a nonprofit education organization dedicated to the teaching of preventative and holistic health care practices. We wish to provide an opportunity for the interested students to acquire professional training in a broad spectrum of therapeutic skills useful in facilitating a high level of physical, mental and emotional well being in both themselves and others. Program emphasis is on a commitment to professional integrity, personal growth and therapeutic effectiveness. 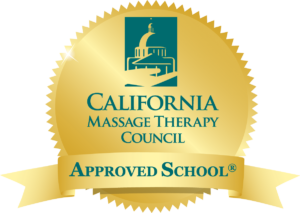 It is our intention that the conscientious student will graduate as a massage therapist of the highest caliber.